Our website and its content is owned by Haislar Construction (“Company”, “we”, or “us”). 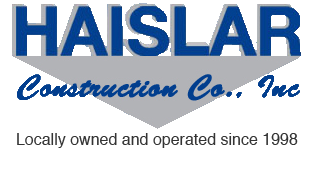 The term “you” refers to the user or viewer of www.haislarconstruction.com. We at Haislar Construction collect information in the following ways. We remain committed to respecting your privacy and caring for your personal information in a responsible way. If you have any questions or concerns, please contact us at haislarconstruction@gmail.com.